The century is only 14 years old, but the record for hottest year in recorded history has just been broken for the third time. Scientists at the National Oceanic & Atmospheric Administration and NASA announced last week that, during 2014, the worldwide combined average air and sea temperature exceeded the average since 1880 by 0.69 degrees Celsius. The two agencies’ reports confirm a similar conclusion announced by the Japan Meteorological Agency earlier in January. This graphic shows worldwide temperature anomalies during 2014. Courtesy NASA Goddard Space Flight Center. An analysis of the new data by climatologist James Hansen of Columbia University and others concludes that the ten hottest years in the planet’s recorded climate history have occurred since 2000 and that the 15 hottest have occurred since 1998. Overall, Earth’s average surface temperature has risen by 0.8 degrees Celsius since meteorological records were first kept 135 years ago. This graph shows the annual mean surface temperature on Earth during every year since 1880. Courtesy NASA Goddard Institute for Space Studies. Not all regions of the planet experienced the same degree of warmth last year. In the United States, for example, certain areas of the Midwest and along the East coast were cooler than average. But those cooler temperatures were outweighed by the broader swaths of the world that experienced hotter-than-normal temperatures. Four U.S. states – Alaska, Arizona, California, and Nevada – experienced their warmest years in recorded history. Individually, the global mean land temperature during 2014 was the fourth-highest on record. However, the 0.55 degree Celsius leap above the mean experienced by the seas drove the overall mean surface temperature to the all-time record. The extent to which sea temperatures exceeded the historic mean was unprecedented. These graphs show the deviation from the norm of land and sea surface temperatures during 2014. Courtesy National Oceanic & Atmospheric Administration. Emissions of carbon dioxide, a leading contributor to the warming of Earth’s climate, continue to rise. Data released earlier this month by the Scripps Institution of Oceanography at the University of California at San Diego indicates that the concentration of CO2 in the atmosphere surpassed 400 parts per million on Jan. 1, Jan. 3, and Jan. 7. The first time it happened was in 2013, but the threshold was not crossed until May 2013. In 2014, the monthly average concentration of CO2 in the atmosphere reached 400 ppm in March, April, and June. The current atmospheric concentration of carbon dioxide is higher than it has been in at least 800,000 years. 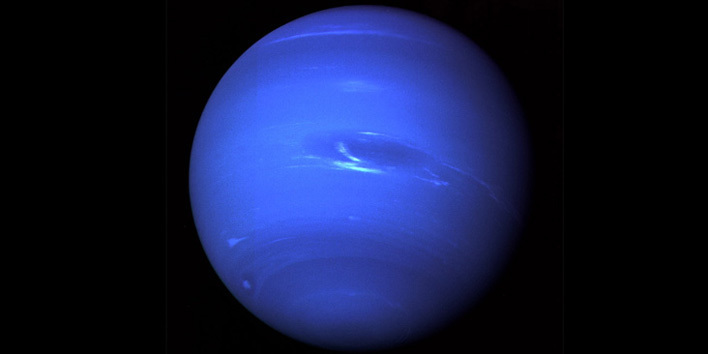 Astronomers from a university in Spain suggested in a paper published earlier this month that there may be at least two planets in our solar system beyond the orbit of Neptune, shown here in a 1989 image obtained by the Voyager 2 spacecraft. Image courtesy NASA. A paper published earlier this month in a European journal proposes that the solar system may include two or more additional planets beyond the orbit of Neptune. The hypothesis is based on a mathematical calculation of the expected orbital dynamics of other objects that orbit the sun in the vast region beyond our star’s outermost known planet. Scientists have long understood that extreme trans-Neptunian objects should proceed in orbit on a path that has an inclination of zero degrees and an angle of perihelion of about zero degrees. The accepted theory also holds that the semi-major axis of ETNOs should be about 150 astronomical units. The inclination of a celestial object’s orbit is the angular distance between that orbit and the ecliptic. An object’s perihelion is the point in the object’s orbit where it is closest to the sun. The semi-major axis of an orbit can best be thought of as the radius between the two points in an orbit that are most distant from each other. In the cases of 12 of the ETNOs, the data indicates that their orbits do not comport with those expectations. For example, their semi-major axes vary between 150 AU and 525 AU and the average inclination of their orbits is about 20 degrees. Fuentes and two co-authors applied a phenomenon called the Kozai mechanism, a mathematical model that shows how a more distant celestial object affects the orbit of one that is closer to the sun, to achieve their hypothesis. 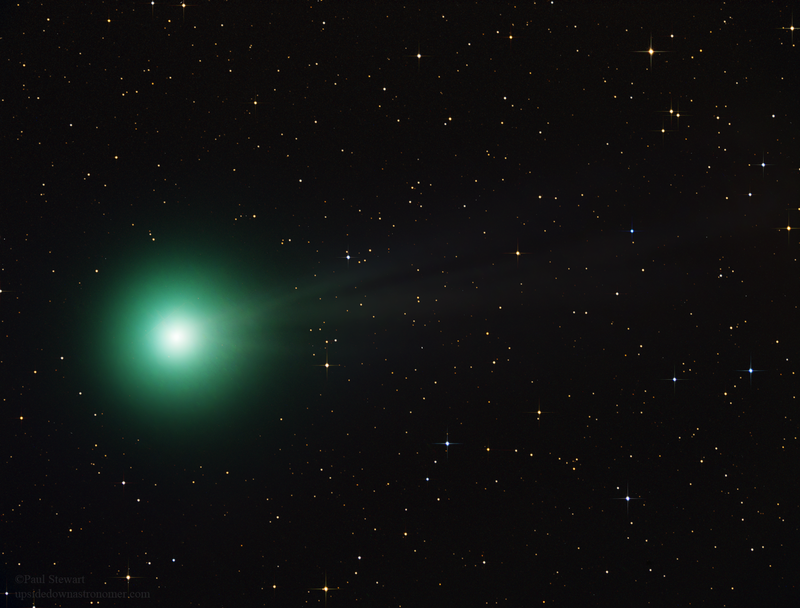 The researchers applied the Kozai mechanism to a comet called 96P/Machholz1 and Jupiter as a model. The analysis suggests that the only way the dozen ETNOs would demonstrate the orbital characteristics they do is if at least two more planets, larger than Earth, are farther out in space. This conclusion is not consistent with the traditional view of the solar system, which holds that no planets in a circular orbit beyond Neptune are possible. But other recent research indicates that the conventional view of the maximum size of our solar system may be incorrect. In 2014, for example, astronomers using the Atacama Large Millimeter Array in Chile documented the discovery of a star system about 450 light years away in which a planet-forming cloud of debris exists more than 100 AUs from the star. Scientists have also confirmed the presence of at least two celestial objects far beyond Pluto with eccentric orbits that may be explained by the presence of a planet larger than Earth in the inner Oort cloud. Those dwarf planets – Sedna and 2012VP113 – have highly elongated orbits that, at perihelion, come no closer than 76 and 80 AUs from the sun and, at aphelion, are more than 900 AUs and more than 450 AUs away from our star. This month’s paper appears in Monthly Notices of the Royal Astronomical Society. It builds on conclusions the same authors proposed in another paper published in the same journal in Sept. 2014. The global average combined air and sea temperature during December was the warmest in 135 years of recorded history, according to the National Oceanic & Atmospheric Administration. It was the sixth month of 2014 to set a record for the highest average combined air and sea temperature. The 20th century average was 12.2 degrees Celsius (54 degrees Fahrenheit); during December the global average combined air and sea temperature around the world was 12.97 degrees C (55.39 degrees F). The average land surface temperature worldwide was 1.36 degrees C above average, while the average sea surface temperature was 0.55 degrees C above average. The NOAA report on December’s temperatures around the planet is here.